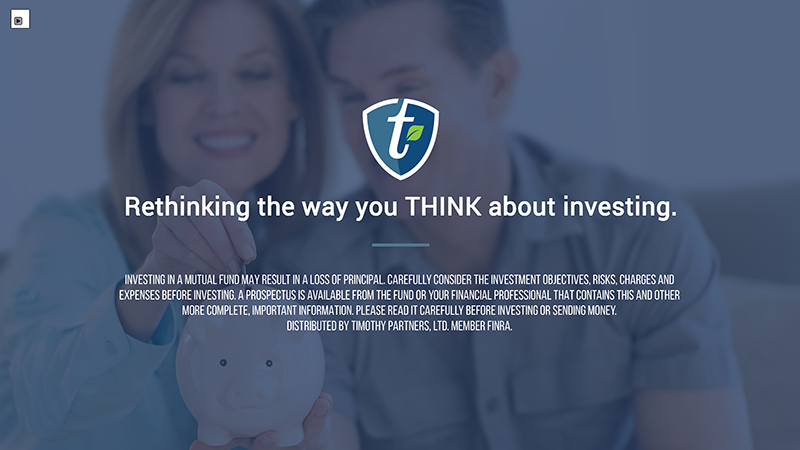 Investing is a journey, and we want to help you along the way. 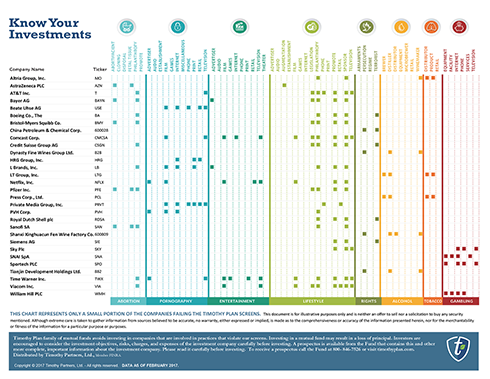 We offer a number of resources to help you determine your risk tolerance, evaluate which funds may work best for you and process a moral audit on your existing portfolio. 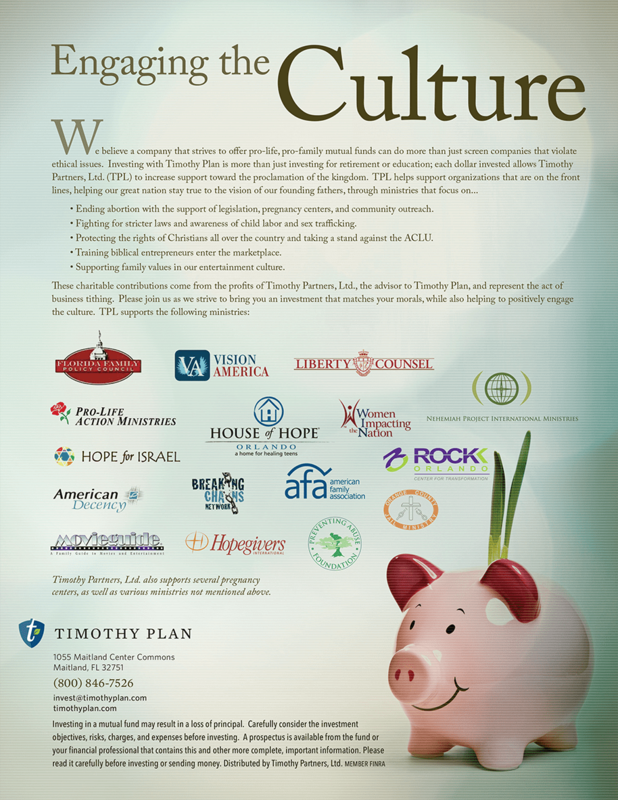 Accurate reports, quality literature and award winning designs are hallmark to Timothy Plan Resources. We alleviate the anxiety of decision-making by providing top-notch resources to help you make an informed choice. Choose from a wide variety of resources available both digitally and in print. 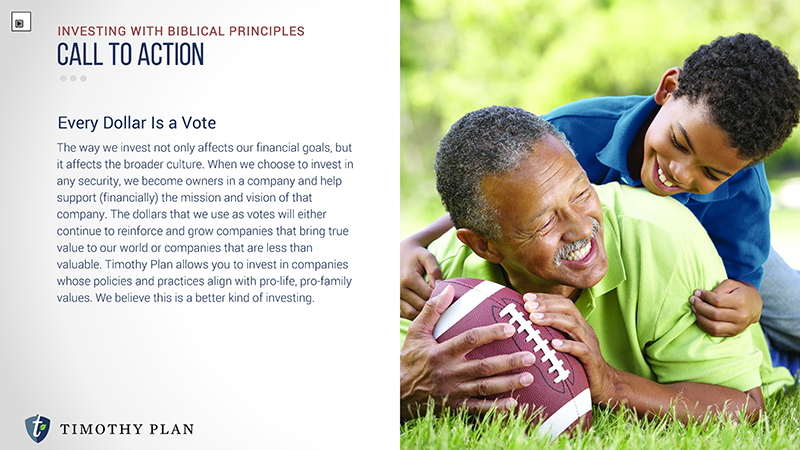 Informative and easy to understand, our corporate brochure is replete with answers to your investing questions. 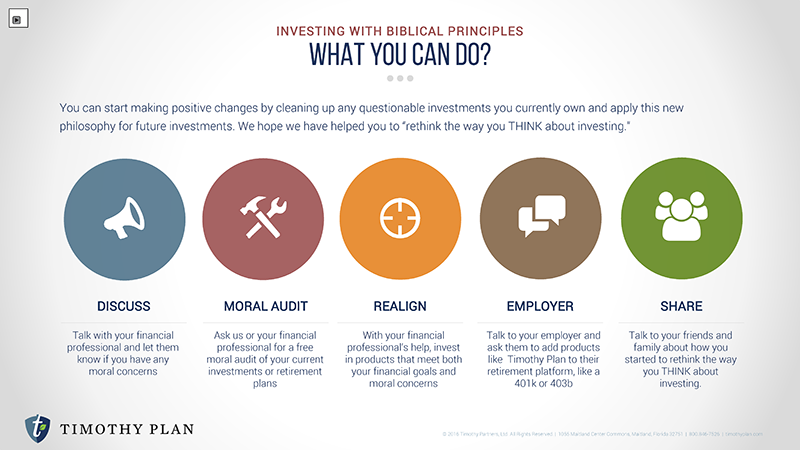 Your Values, Advantages, and Stewardship are three reasons it's time to invest. It's our privilege to take part in our local, regional and national community. Everyone loves a good story. Enjoy reading about ours! 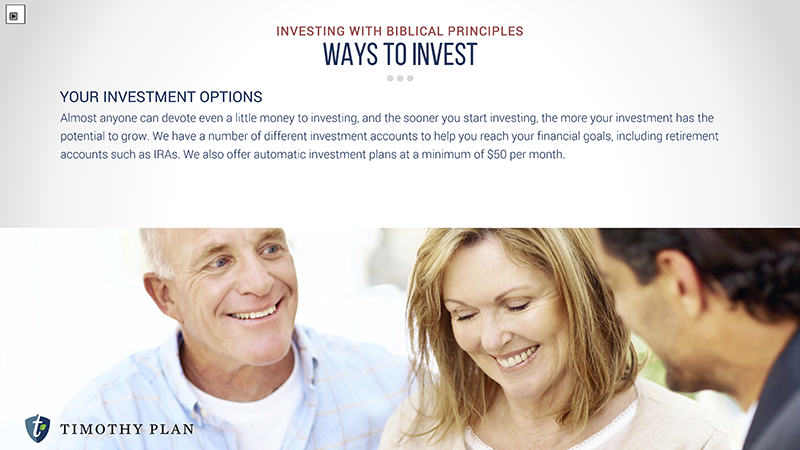 Discover investing options for the Homeschool Family. 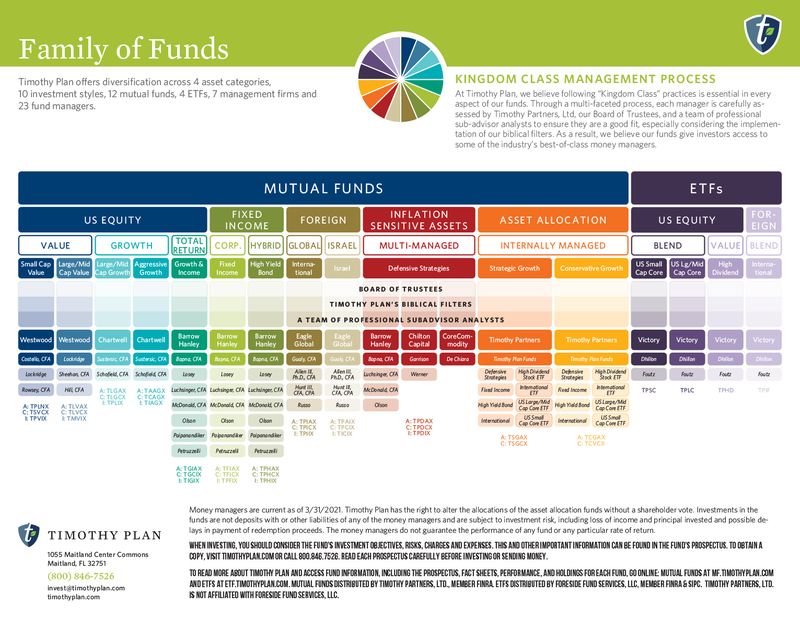 Let us help you determine your asset allocation with our Investor Worksheet. Meet our Kingdom Class Fund Managers. 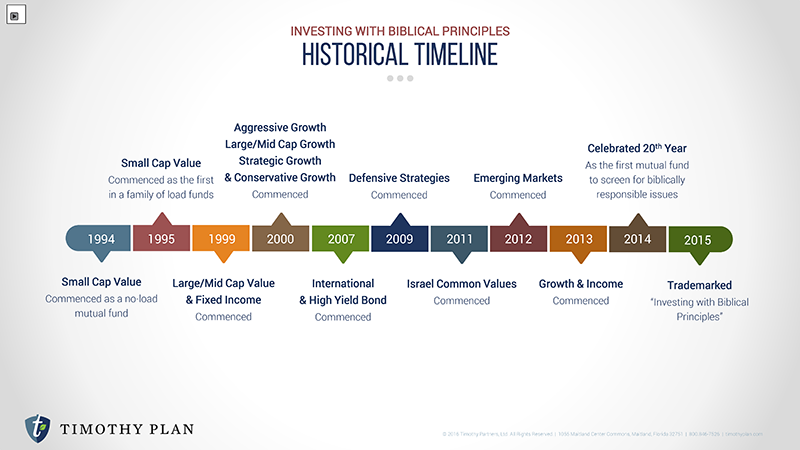 We believe in investing for the long haul. Just the facts - index comparison chart. It's like reading your food labels, know what you're investing in. 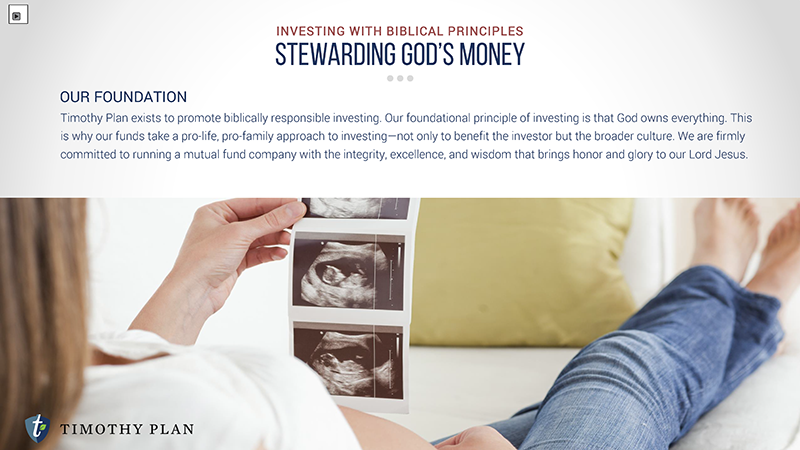 Like a well-designed building, Biblical Stewardship starts with a solid foundation. 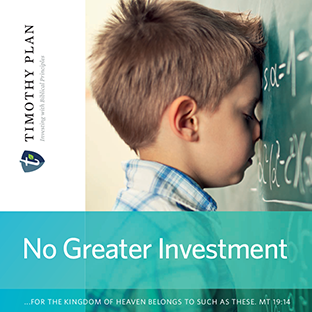 Art Ally, President and Founder of Timothy Plan, was inspired by this truth, along with his desire to help others learn to manage money God's way. 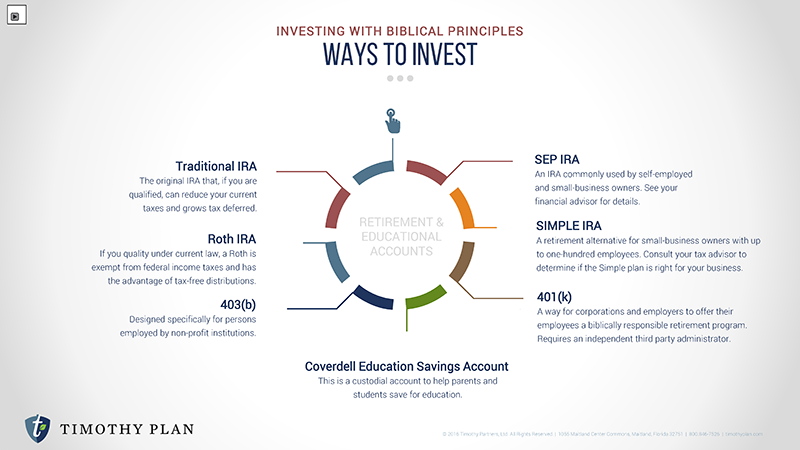 The BSS starts with the foundational principle that the best resource for financial freedom is the Bible. 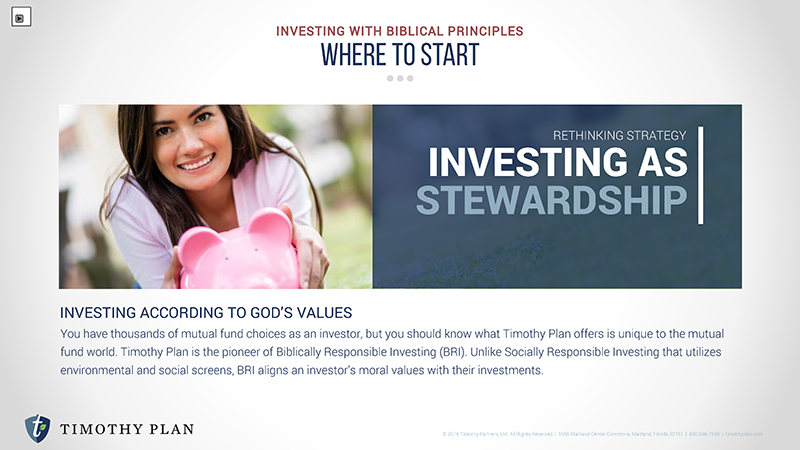 In BSS, you will find answers to many of the common questions on Christian stewardship. 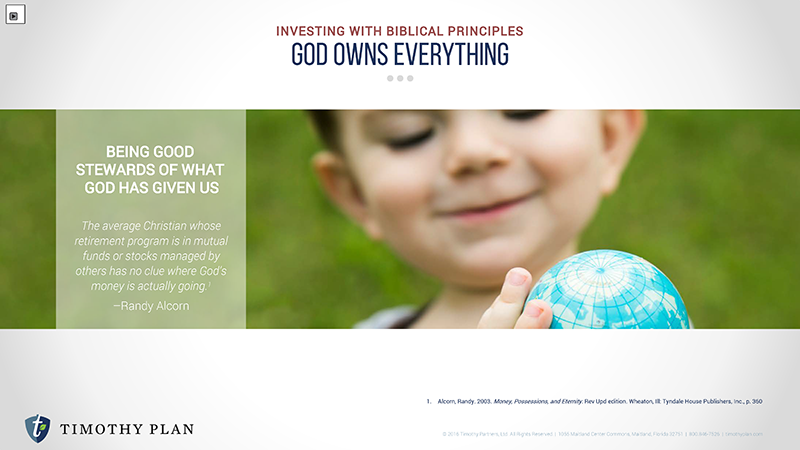 For example: Why Is money so important to God? How can I afford to buy a home? What are my investment options? How do I plan for college? 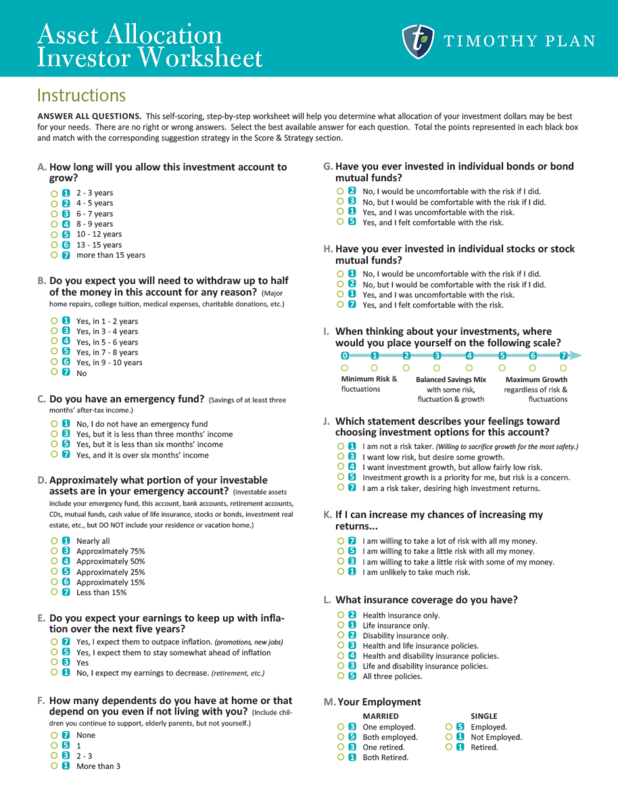 All of these questions, and more, are answered in the six instructional booklets. In the event an article mentions performance, it is important to understand that past performance is no guarantee of future results, and current performance may be higher or lower than the performance data quoted. The investment return and principal value of an investment will fluctuate, so that an investor's shares, when redeemed, may be worth more or less than their original cost. 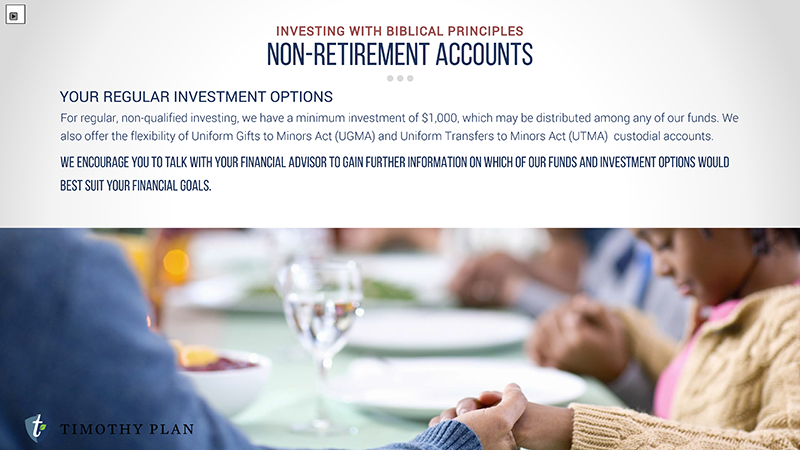 For more current returns, including returns for the most recent month, please call your financial advisor or the Fund at (800) 846-7526. To view our annual archive of articles, click on the tab year. Articles are purposesly unlinked to the source for compliance or copyright reasons. Money—ultimate power trip or ultimate opportunity for growth? Be encouraged... we are having a huge impact that we may not fully understand until we get to Glory. 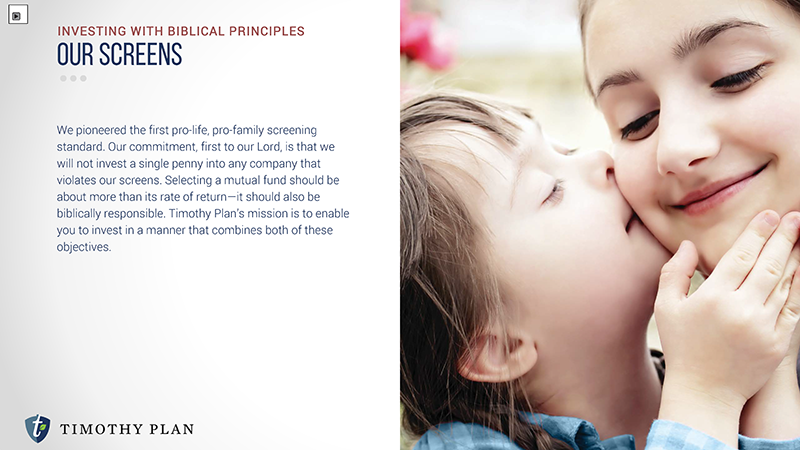 Is Your Retirement Account Built On Abortion? Shouldn't You Know? 'Ethical' Investing in Emerging Markets? 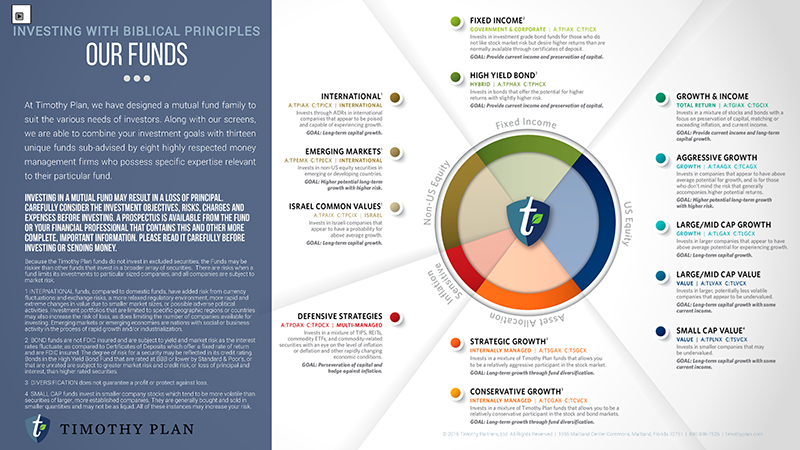 Bond Funds with Positive Impacts: What Kind of Investor Are You? Is the moral high ground profitable? 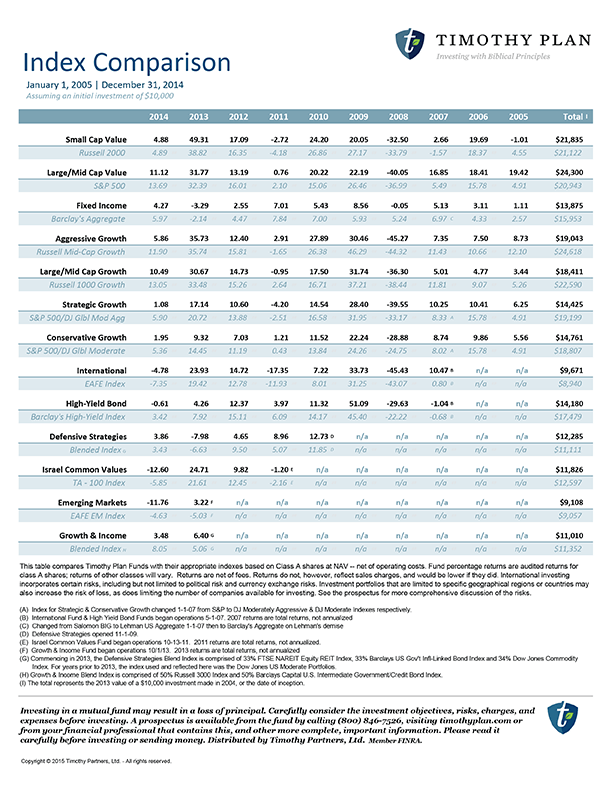 Faith & Finance --- Once little noticed, religious funds have tripled in number in 10 years; Will the down economy spur on more? 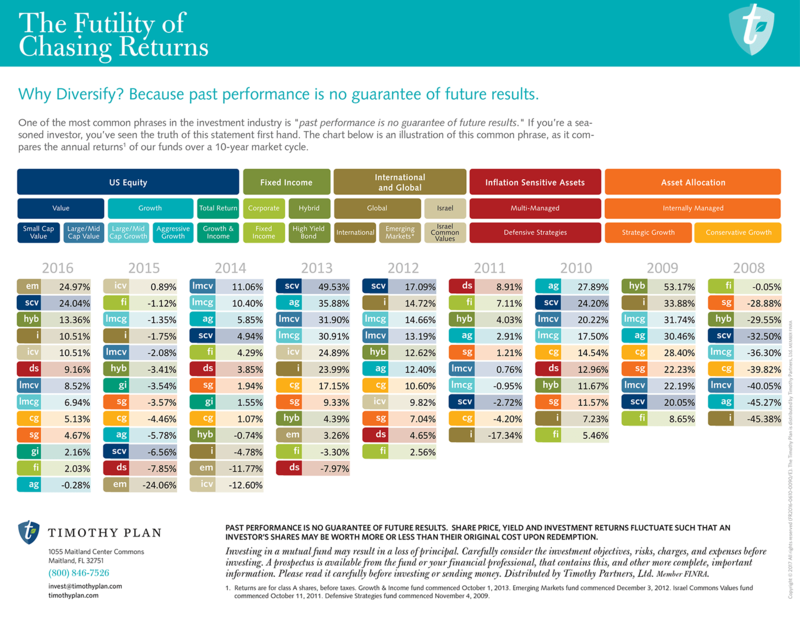 Are Ethical Investing & Savvy Investing a Good Mix? Should You Invest in Green Funds? 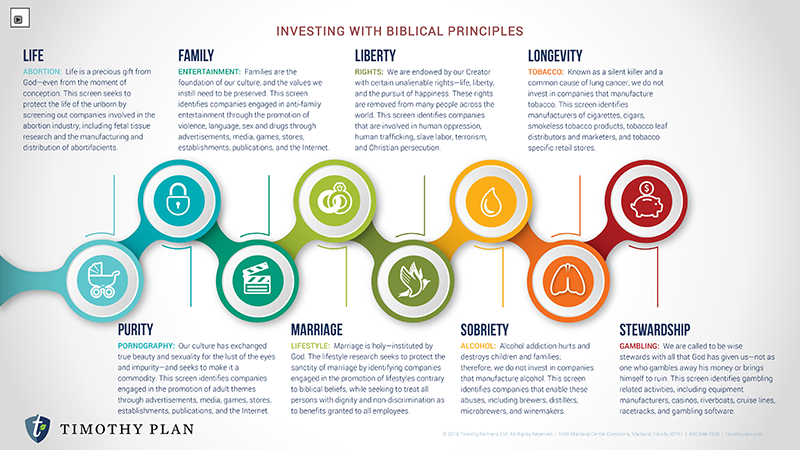 Are You Invest in Your Values? Is it Moral to Invest in War if the Enemy is Terrorism? Why Buy Shares of Feel-Good Funds? 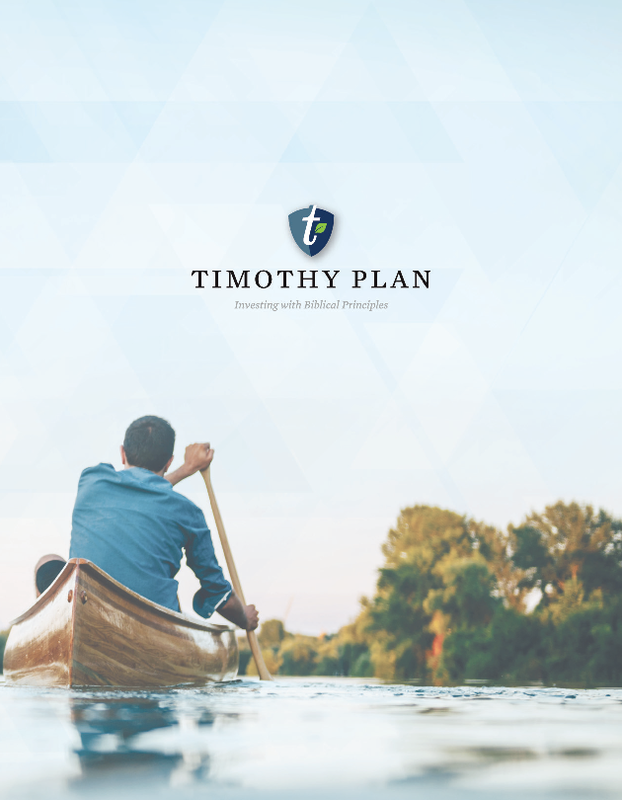 Timothy Plan Finds Niche Among Socially Responsible Funds. Want To Put Your Money Where Your Conscience Is? Jesus said, "I came that they may have life and have it abundantly" – a complete life full of purpose (John 10:10). 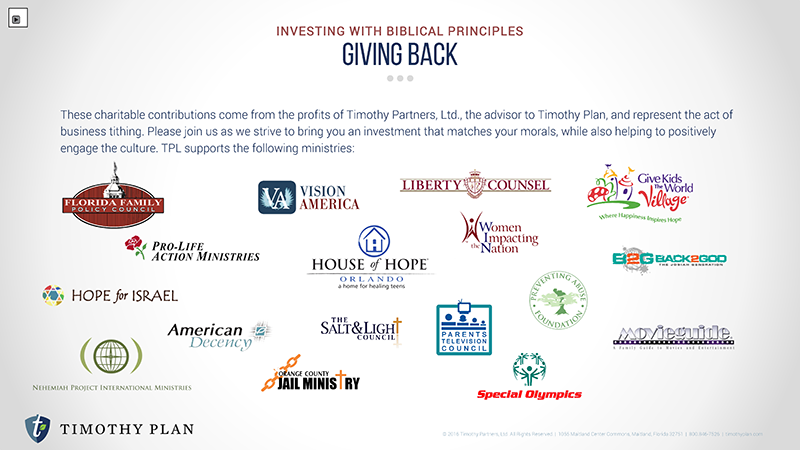 Timothy Partners, Ltd. appreciates the legacy of Billy Graham. 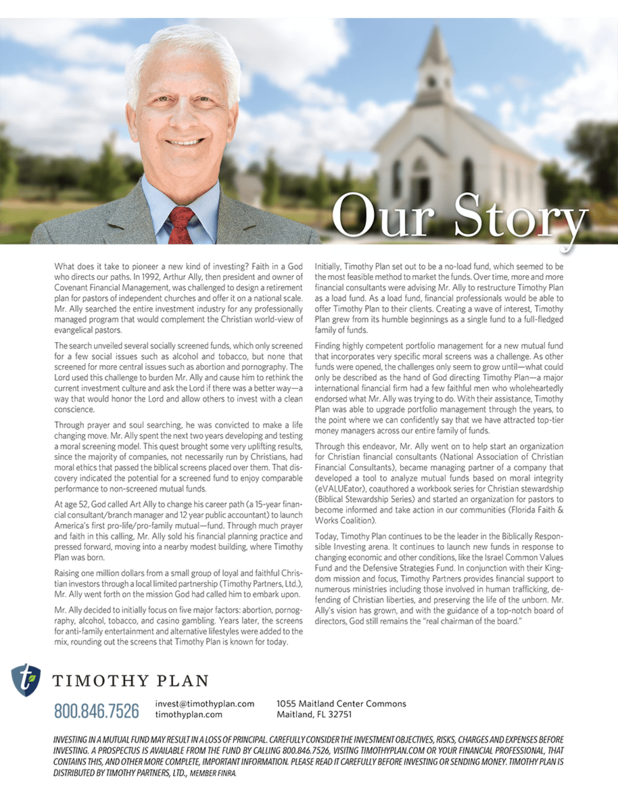 A step-by-step video evangelism track is available at PeaceWithGod.net, which is operated by The Billy Graham Evangelistic Association (BGEA), in partnership with Jesus.net. Whatever you’re going through, God knows—and cares. RightNow Media serves over 12,000 churches and schools with faith-based video resources. RightNow media offers every person in your church, school or business with access to over 15,000 Bible studies, including studies for small groups, families, students, leadership development, employees and more. 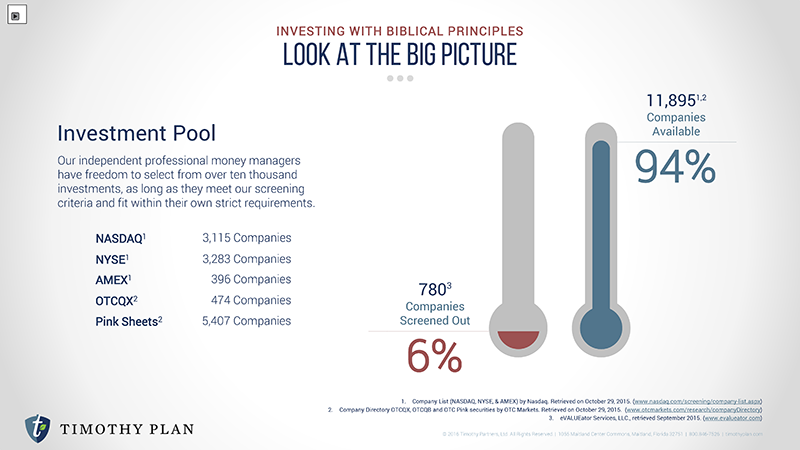 Content comes from more than 250 Christian publishers and ministries. Timothy Partners, Ltd. provides each employee, and immediate family member, access to amazing resources through RightNow Media @ Work.